Morro and Jasp have had it with the daily grind and have decided to launch their own startup business. They are full of big dreams, bigger expectations, and even bigger Market Growth Potential (whatever that means). What could possibly go wrong? This show promises to be anything but business as usual. 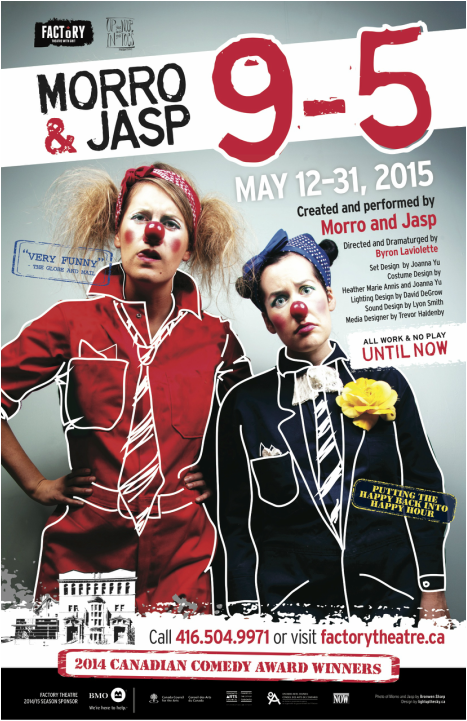 "The Amy Poehler and Tina Fey of Canadian clowning"